Rabbi Mordechai Z. Cohen is professor of Bible and associate dean of the Bernard Revel Graduate School of Jewish Studies of Yeshiva University. He has written a number of seminal studies in both Hebrew and English on Jewish biblical interpretation (parshanut ha-miqra) in its cultural settings, particularly its interface with Arabic poetics, Muslim jurisprudence and modern literary approaches to the Bible. Recognized as a leading authority in this field, he lectures regularly at academic conferences in the United States, Europe and Israel. His first book, “Three Approaches to Biblical Metaphor: From Abraham Ibn Ezra and Maimonides to David Kimhi,” was published by Brill Academic Press in 2003 and was re-issued in a second edition in 2008. His second book, “Opening the Gates of Interpretation: Maimonides’ Biblical Exegesis in Light of His Geonic-Andalusian Heritage and Muslim Milieu,” will be published by Brill in 2010. 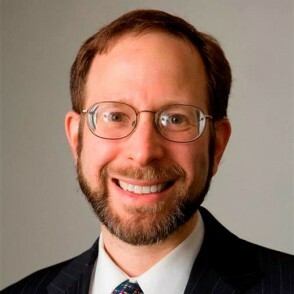 Rabbi Cohen graduated from Yeshiva College in 1987, was ordained at the Rabbi Isaac Elchanan Theological Seminary in 1990 and received his PhD at Revel in 1994.